Fourteen-hour day behind the wheel, watching the weather transform before my eyes. From the early misty morning in Birmingham, clearing to a bright blue day as I rolled over the hills of Alabama listening to William Faulkner stories from my iPod. Bruce Springsteen sang to me through the flatlands of Mississippi, where it’s still green, except for the spent cornfields, and over the Chunky River. I decided that Rosalita is the best song. Ever. Then, when the sun was high, Casey Neill carried me over the bayous of Louisiana, through Ouachita Parish and into east Texas, ablaze with white wildflowers. Hawks ignored me from the trees as vultures circled high, cascading out of their swirling kettles to glide through the skies. The last time I was in Birmingham I was also passing through briefly. It was my last big cross-country trip, circa 1995, back when I had time to disappear for six months. It involved a VW bus, mustard yellow, and a young man, tall and handsome – both long gone. We reached Birmingham late afternoon, on our way to Atlanta, today’s trip in reverse, and we had one destination: the Civil Rights Museum. Built in 1993, the exhibits were embracing the use of new multimedia and interactive displays. We were led through time, from the capturing of slaves to Mammy salt and pepper shakers to a segregated bus, filling the room, and finally, to the United Nations Declaration of Human Rights. On that same trip, a month or so later, we were passing through DC and went to the newly-christened Holocaust Museum. My memory is of long lines and a lottery to get in, winning (if that’s the right word), and then entering the cold metal structure. If the architects were trying to create a mood, they did, but by the time I walked out, I felt like I had passed through a really miserable experience that had happened in an isolated moment of terrible time. Like I could pass through the exit and breath a sigh of relief in the Washington air that that was over. Let’s go get a latte! PS – thanks to A’s dad, the charming doctor, and his sweet dog Champ for hosting me in Birmingham! Blogs are, at least in part, about connecting you, as an unsuspecting reader, to something you might not have heard about otherwise. 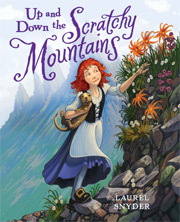 So for those of you with children out there – c’mon, you know who you are – or for those who recognize that some of the best literature can come disguised as (just) a children’s book, you should check out Laurel Snyder’s new release, Up and Down the Scratchy Mountains. Laurel is a great and funny writer and former Killing the Buddha editor who just happens to live in Atlanta, so we got to meet in person, and now, instead of nothing but her voice in ariel font, I have an image of her in my mind that involves movement and voice and hot dogs and wine. Check her out. Brooklyn is behind me, at least for the next five…six…seven weeks. OK, eight weeks. I’m still in denial about how long this cross-country adventure actually will be. First stop: the green, leafy edge of Atlanta, in a silent neighborhood of no sidewalks, from where I stage the theft of my parents’ car (they’ve fled the country, leaving behind their worldly goods, for now. A bit like rapture, but i can still talk to them via Skype). Here, no one is grilling jerk chicken out front of their house, filling the air with smoke and scents to make you salivate. No gang of ten-year-olds has taken over the streets with their skateboards, kicking yellow cabs as they cruise by. There is no man standing silently on his front stoop from the early hours to the late hours, lording over the street. But as I walked into one of the many, many shopping center complexes that get routinely carved into what was once lush southern forest, a sound made me look up. The screech of a gull, perhaps, but not quite. 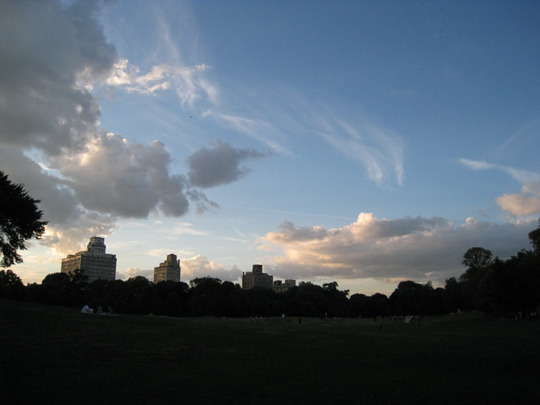 I lifted my sunglasses and looked up to see a hawk, wings spread wide, as it soared by not thirty feet above my head. The birds are leading this journey. The peregrines that nest atop the Verrazano-Narrows Bridge, which links my borough of Brooklyn to its forgotten stepsister of Staten Island, and the other falcons throughout NYC are there by the grace of not God, but a gaggle of mad scientists and falconers who believed they could recreate a species decimated by DDT. Like the birds themselves, the men have scattered. I am heading west to find them, and visit a whole heap of long-lost friends who live along the way. Wanna come along for the ride? Fifty kilometers south of the large city of Chennai, in south India, a group of five fishermen are building a boat alongside the coastal highway when we pull up. They are using axes to carve thirty-foot logs, five of which will be lashed together lengthwise to make akattumaram, the Tamil word for boat that has found its way into the English language nearly intact as catamaran. A simple thatch roof suspended on poles located under the arching arms of an old tree offers a double layer of shade from a relentless midday sun. An untold number of these catamarans were swept out to sea six months ago in the tsunami, along with houses, personal possessions and people here along the shore of the Bay of Bengal.